This whole month I have been enjoying the #VintagePledge July Extravaganza with daily posts over at A Stitching Odyssee and Kestrel Makes. 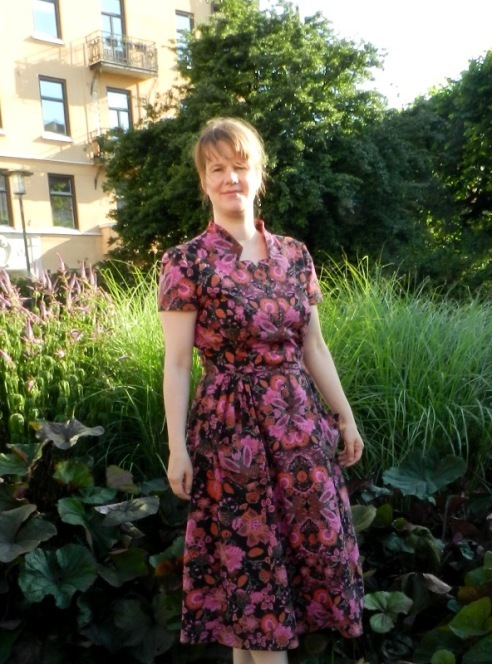 High time to present the third garment based on a vintage pattern that I finished this year. 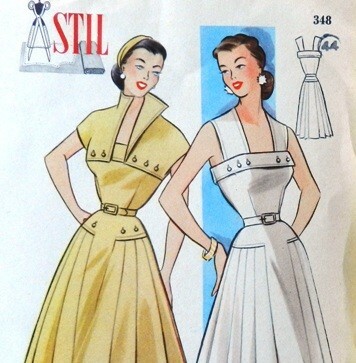 I knew that I wanted to sew at least one vintage summer dress, but had a hard time deciding what pattern to use. In the end I took out the muslin for a dress bodice that I made last year, shortly after I found my first Silver Scissors pattern book. I am still fascinated by this system and intend to make better use of the books I have (I actually bought a third one with a supplement some months ago). 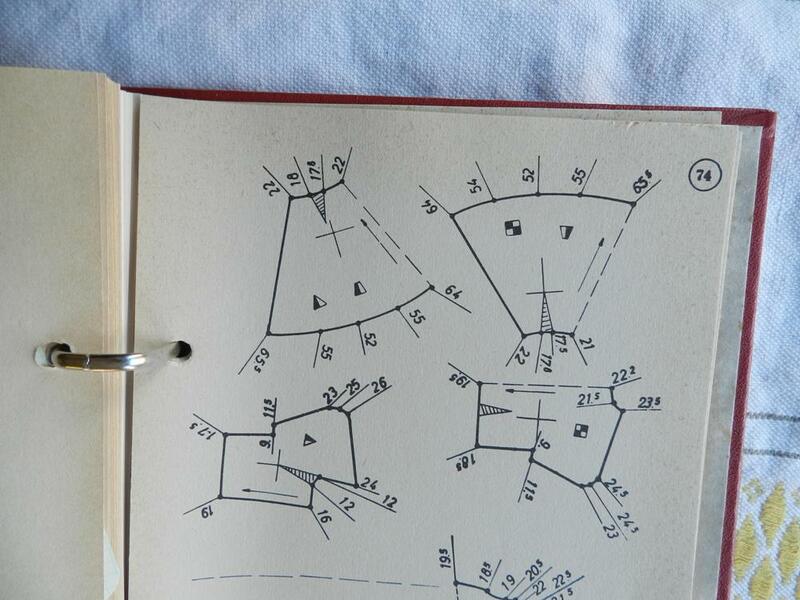 The bodice of my dress is based on the model in the centre. Love the two other designs pictured here too! 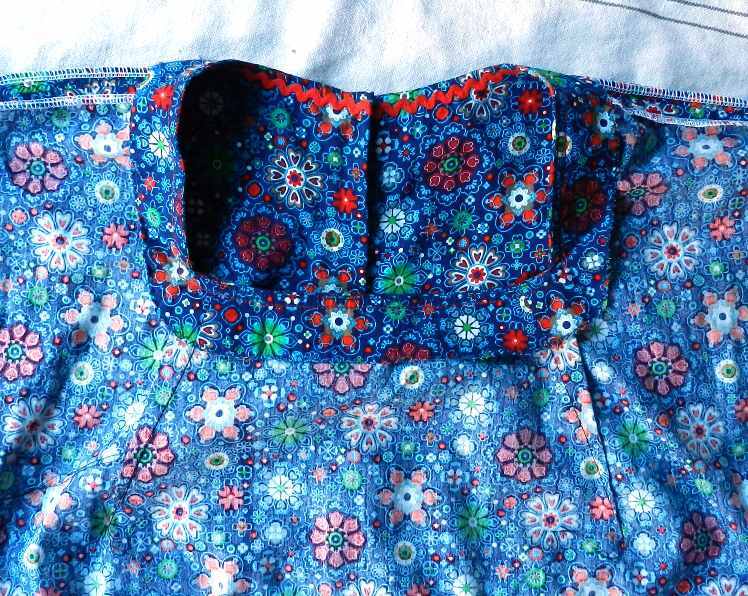 The bodice that I chose to enlarge has a charming squared neckline and short, cut-on sleeves. As I had not read the instructions very carefully I accidently drafted the pattern using my high bust measurement. Not surprisingly, the muslin turned out to be too tight around the bust. It fitted okay everywhere else, though. At the time I had never done a Full Bust Adjustment and the muslin ended up in the back of a closet. Now that I am slightly more experienced, I decided to give it another chance. 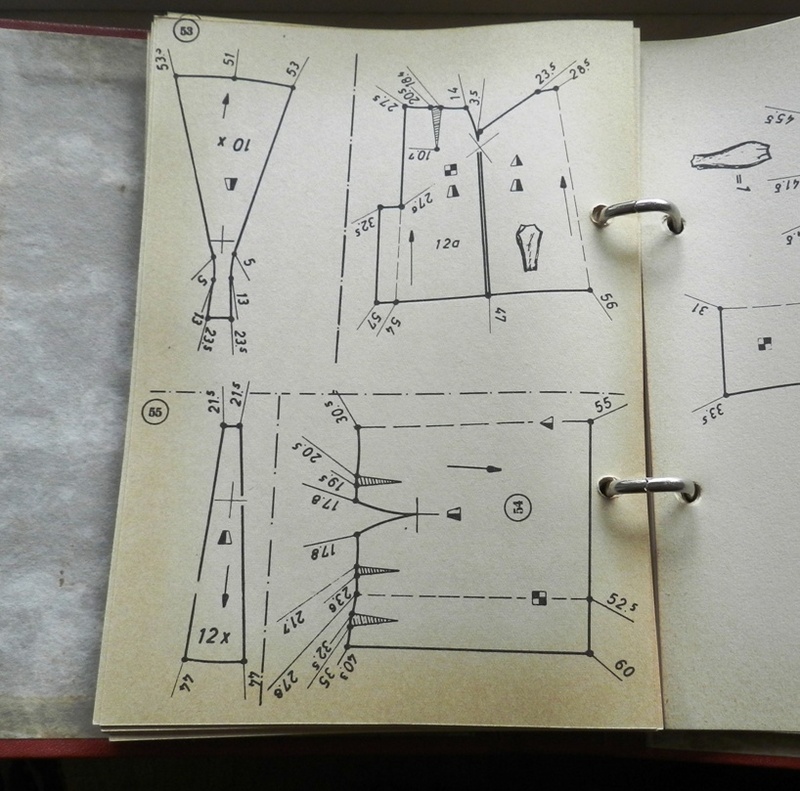 The miniature pattern pieces for model no. 74. I only used the front and back bodice pieces. Note the dart extending from the corner of the neckline. Besides doing a FBA, I lengthened the bodice with 1.5cm to accommodate for my long torso. To avoid ending up with one big dart at the neckline I added a waist dart. In hindsight, I should perhaps have drawn the entire bodice a little smaller and added a little to the FBA, as the dress still feels a bit tight around the bust and the neckline displays some gaping. 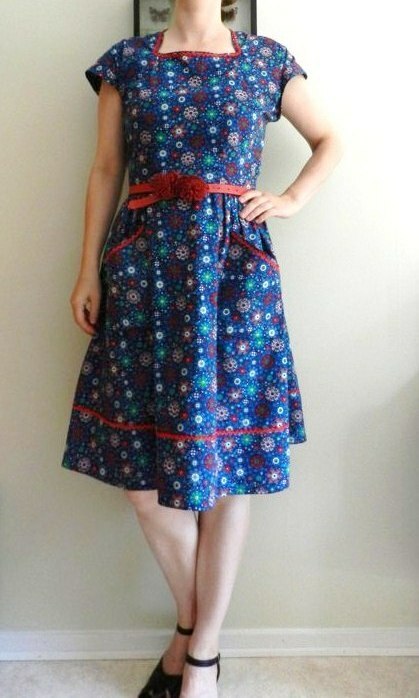 Overall, however, I do not find the fit to be any worse than, for instance, Burdastyle or Butterick. In a way, I am still so amazed that this even works! My less glamorous rendition of the dress. Somehow the neckline turned out higher than in the photograph from the book. It was even tighter to begin with. As this still felt like an experiment, I was wary of using one of my prized vintage fabrics. Instead, I opted for this retro print cotton that I bought at Kokette Katinka when visiting my sister in Antwerp about two years ago. This little shop has a nice selection of fabric with fun prints. Initially, I had planned to make something for my daughter, but as I bought 2m, I figured I could make better use of the fabric by sewing an adult-sized garment. This was my first time inserting a hand-picked lapped zipper. It was suprisingly easy and I am very pleased with how neat it looks! 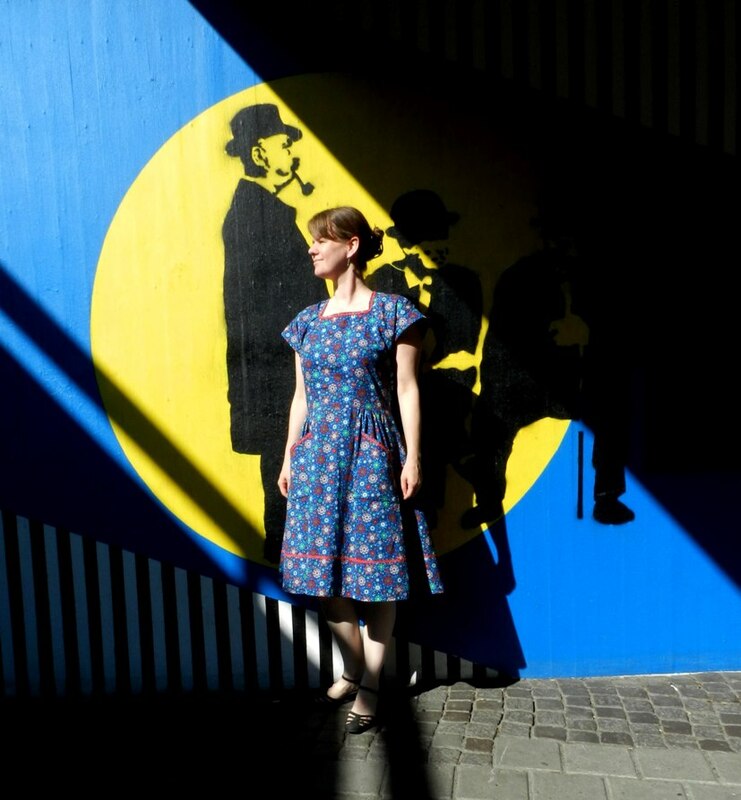 I knew that 2m would not be enough to make the full and rather long skirt in the photograph, so I grabbed the skirt pieces of Butterick 5920 and by shortening them and placing them in different directions, I managed to fit them on the fabric. 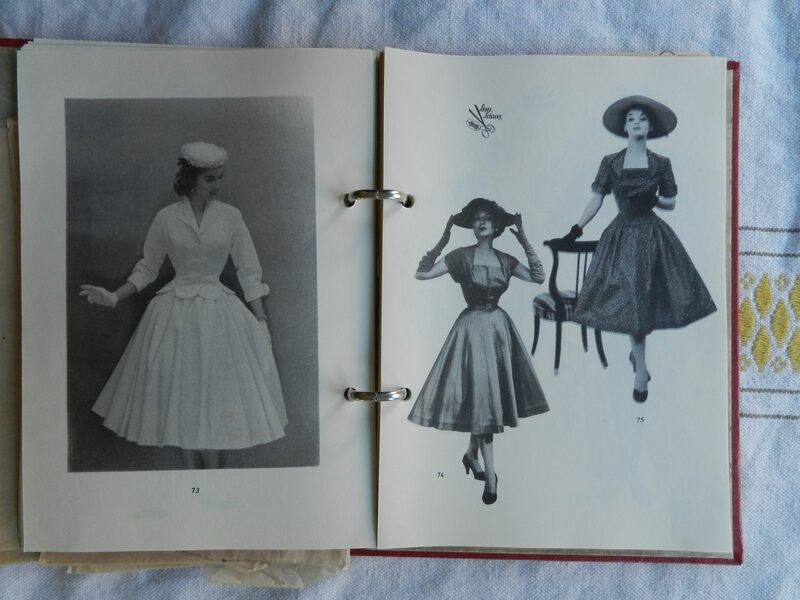 The Silver Scissors book promotes mix and matching in their introduction and Butterick 5920 is from the same time period, so it seemed like a good choice. While this is sold as children’s fabric (the selvedge says Juicy by Poppy), it reminded me of the fabrics used for vintage day or house dresses. 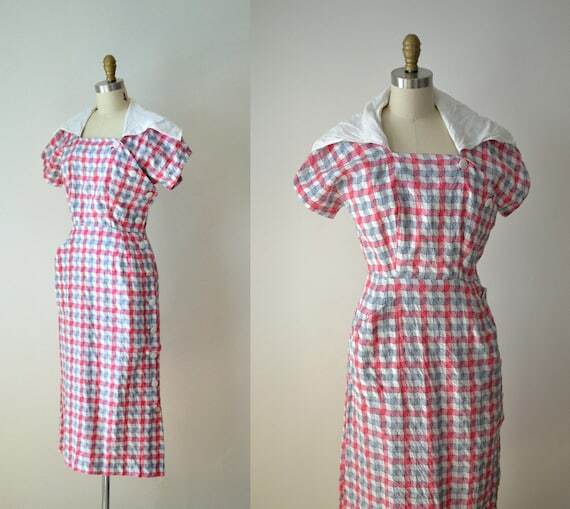 Taking inspiration from, for instance, this Pinterest board on vintage house dresses I decided to embrace the homeliness by adding big patch pockets and red rick-rack trim. It is perhaps not a style that I wear very often and it does make me feel a bit like an oversized toddler, but the dress is super comfortable. There was enough fabric left for a matching belt, but I often forget to wear them unless they actually keep my clothes from falling down. Testing a slightly more grown-up look with a belt and shoes with a small heel. Silver Scissors does not contain any instructions. For instance, in this case no information is provided on where to put the closure or how to finish the insides. As the construction of this dress is very straightforward, this was not such a big problem. I am someone who easily gets bored with too detailed instructions anyway and tend to stray away from them even if it would be easier just to stick to them! I guess I just like to figure things out on my own. Next time, however, I will make some sketches beforehand and write down an order of construction, so I do not forget a step. I finished the neckline with facings and the sleeves with bias strips of self fabric (not shown here, because the dress was all wrinkly around the armpits when I took the picture). Anyway, this experiment was a lot of fun and inspires me to try more Silver Scissors patterns. 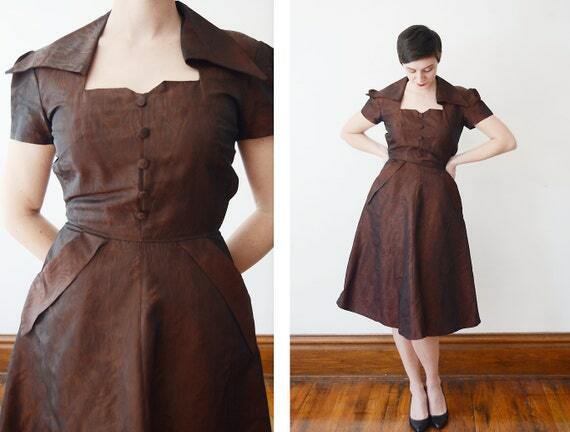 I would also like to use this bodice again by making one or more of the following changes: deepening the neckline, using a different skirt, adding a (faux) button closure, under(lining) the bodice for a more structured look and adding a collar. This post ends with some ideas for future dresses. So many options! 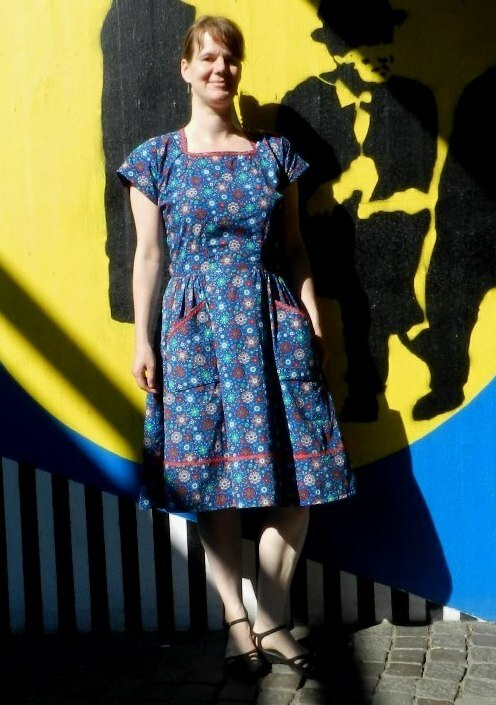 1940s dress with sailor collar and side button closure. Image source: Etsy. A more dressed up version (with set-in sleeves, though). I really like the big collar and (faux) button closure. Image source: Etsy. Rick rack trim and bias tape: thrifted. 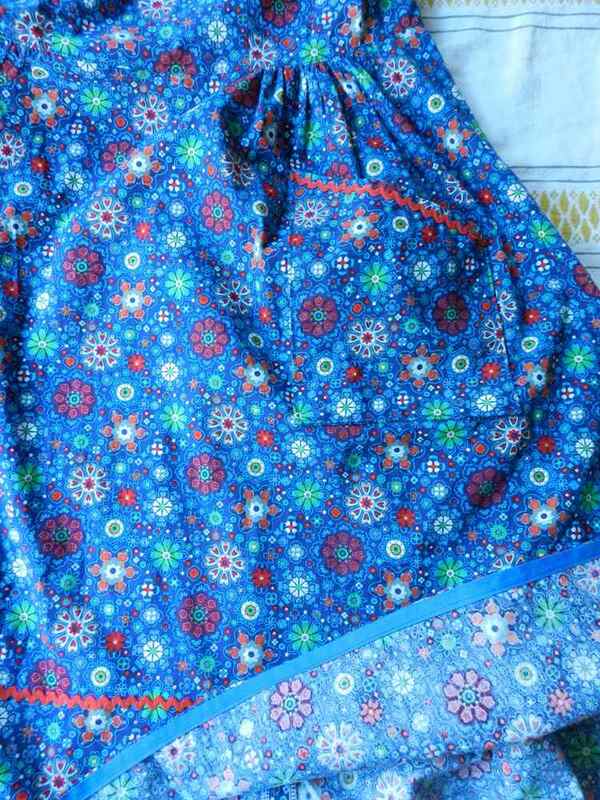 Fabric c. 12.50 Euro (only some scraps left), rick rack and bias tape max. 0.50 Euro (part of mixed bags at the thrift store), invisible zipper c. 1.80 Euro (Jonic textilimport), thread and interfacing c. 1 Euro. Thank you, Siri! Yes, it took quite a creative pattern lay-out to fit all the pieces on 2 meters of fabric. The front skirt is cut in the opposite direction of the bodice and the back skirt pieces are cut on the cross grain. Fortunately, the print is busy and asymmetrical anyway, so I focussed on aligning the white flowers as well as possible. 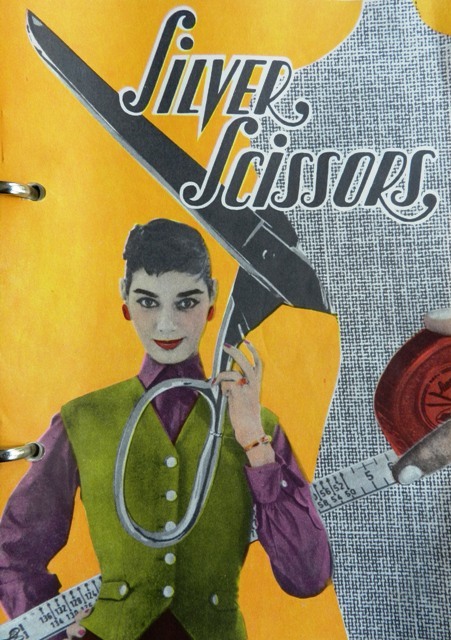 I still hope to see more people sewing with Silver Scissors, but so far, it does not seem to be very popular (at least on the internet).